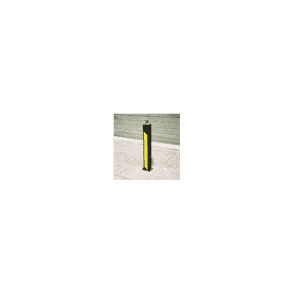 ATG Access’s round telescopic security bollard 101 500 is easy to operate, install and service. 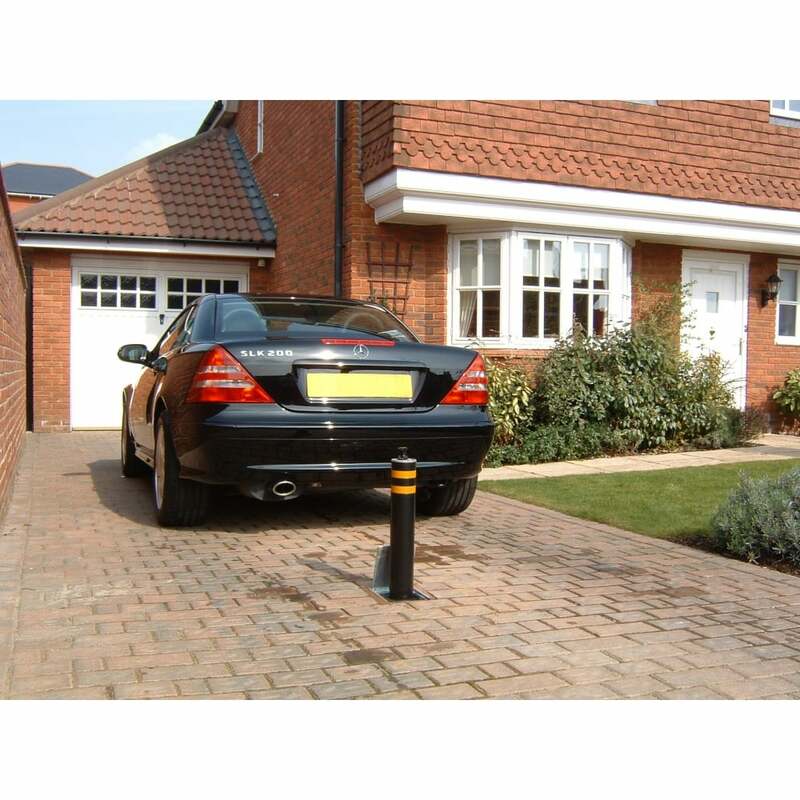 Only available in black, this product is ideal to protect your driveway and garage or alternatively provide a second layer of security to a residential gate. 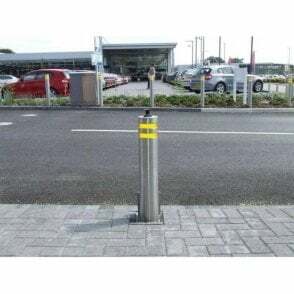 Manufactured in the UK, this bollard has the ISO:9001 quality stamp so you can be sure you are buying a solution, which meets rigorous, British standards. 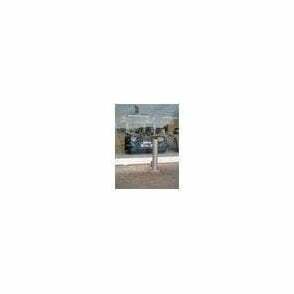 Supplied as standard with a nylon coated black finish, this minimizes rust. 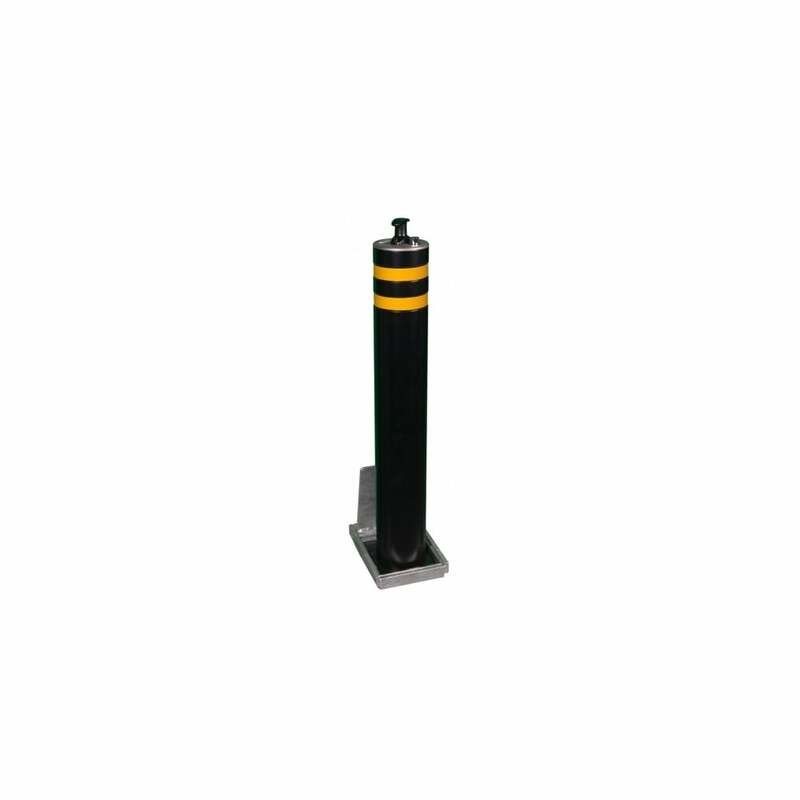 Two yellow reflective bands are also supplied as standard to increase visibility. To operate the product, you simply turn the key in the lock, twist the handle and gently lower the product into the outer casing. 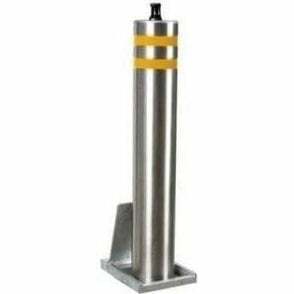 Care must be taken to ensure that the product is not continuously dropped into the outer casing as this will cause damage over a long period of time. Once the product is lowered, the lid can be closed and vehicle access is possible. To secure and restrict vehicle access again you lift up the lid, turn the handle and raise the product into the ‘up’ position. You then simply push the lock barrel in with your thumb to secure. Installation prices are available above. 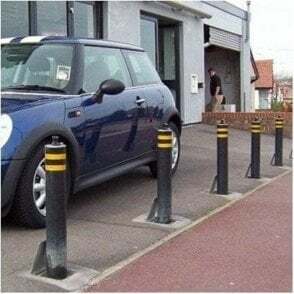 Alternatively, this product is easy to install, full instructions are available, and you could source a local tradesman to complete the job. 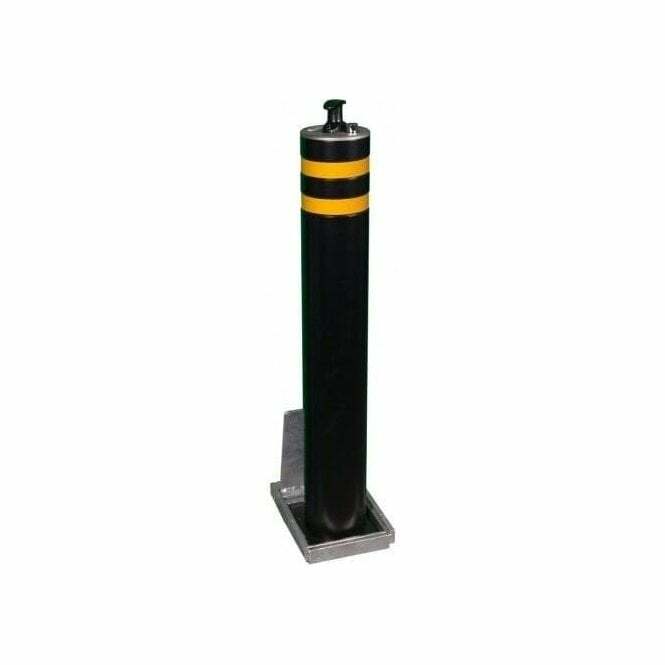 The Telescopic Security Bollard 101 500 comes with a 1-year warranty and is available with free delivery within the UK. Lead-time is just 1-2 working days.